Welcome to a new feature of my blog called General Hospital Spotlight. Most of my readers were unaware of my love for the soap. I’ve been a fan for many years and have been watching the show since the 90’s. My cousin and I go back and forth discussing the storylines and making predictions. Thoughts of the show linger in my consciousness, so I decided to write them down. I hope all fans enjoy this piece. 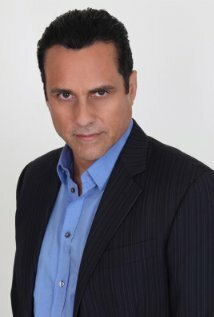 Lets begin with the juicy storyline of the war between Sonny, the Jerome’s and Morgan’s involvement with the whole thing. I love Sonny but he is so stupid if he actually believes that Morgan could be loyal to him. He is doing a terrible job playing both sides. Getting caught with Ava twice by two different people doesn’t look good. I’m glad Sean questioned Morgan, but I hate that he overheard them talking the other day. Why would Sonny tell Morgan about Duke? That is going to blow up in all of their faces. I think Morgan will end up dead by the time the war is over. The Jerome’s are a slick group and I think that Julian will eventually recruit his son Lucas and convince him to join him. I believe that is why Carly has to deal with Heather’s crazy shenanigans, so the writers can introduce that storyline. I’m getting a little tired of Heather Webber. I think most fans are. I don’t care for the new storyline of Scott and Heather being Franco’s parents. Once Carly and Franco finally get together again in the public, their relationship will not last long. I really hope that someone finds her and saves her. Its just a matter of time. I hope that someone gets rid of Heather for good. The Silas Clay situation and the presence of the new Port Charles detective Nathan is getting very exciting. I’m curious to find out how far it will go and to see what real secrets Silas has hidden away.